The 2015 world athletics championships started today (August 22) in Beijing China. Much was expected from Kenya’s marathon squad given that it comprised the current world record holder , Dennis Kimetto and the previous world record holder Wilson Kipsang who had recently done well at the highly competitive London marathon, running ultra fast teams in a Kenyan sweep. And there was Mark Korir who had won the Paris Marathon earlier this year. In the end, Korir finished 22nd with a time of 2: 21.20 minutes while Kimetto and Kipsang dropped out. The winner was Eritrean Ghirmay Ghebreslassie who clocked 2:12.28. Three Ugandans finished in the top 10 including the bronze medalist. The slow times were due to the intense heat and humidity of Beijing. Which brings us to the reason for Kenya’s poor performance. Marathoners typically do well in certain climatic conditions and on certain terrains. Some excel in cool conditions, some in heat and humidity, some on hilly terrain etc. 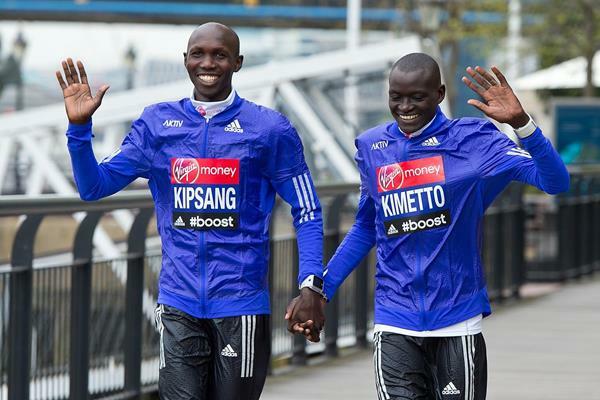 Neither Kimetto nor Kipsang nor Korir have proven that they can run well in heat and humidity. The London and Berlin marathons in which they have excelled are typically run in mild conditions with no humidity and sometimes rain. The marathon is a gruelling, demanding race that requires that one master the conditions. When Samuel Wanjiru won the Olympic marathon in Beijing in 2008, it was because he had spent most of his life training in the heat and humidity of Japan. This is not the first time that Kenyan marathoners have floundered when much was expected from them. In the 2012 Olympics, Mary Keitany was expected to challenge for gold because she had been the fastest marathoner in the world for the previous two years, In the end she was not in medal contention. She stated that she had performed poorly due to the fact that it rained on the day of the marathon yet she had never trained in rain. This is comical considering that it always rains in London and as such, part of preparation should be running in rainy weather or selecting runners who excel in rainy conditions. It is also a fact that most of the Kenyans who excel in City marathons do not often to do well when running in championships. This is especially true for the men. One exception was Samuel Wanjiru. Conversely the men who have not done well in City marathons generally do well when running for the country. Examples are Like Kibet and Abel Kirui who were the world championships gold medalists in 2007, 2009 and 2011. In general, selecting a marathon team is not just about selecting the runners who are fastest on paper. It is very easy to assume that a runners city marathon performance will translate to any championship race. This is often not true. One has to gauge motivation, the terrain and the weather conditions. This entry was posted in Kenya Athletics News and tagged 2015 world athletics championships, Kenya marathoners. Bookmark the permalink.